The towns of Gaithersburg and Germantown contain many of the main attractions in Montgomery County, Maryland. Gaithersburg was established in 1878 and the small town has grown from a rural farming community to an urban city with many high-tech headquarters based there. 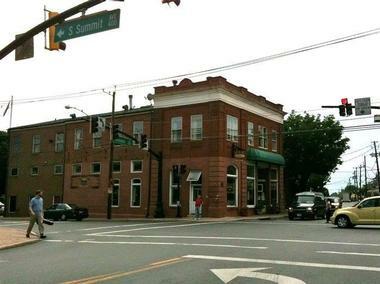 Neighboring Germantown still retains some of its small-town charm although it is quickly growing as well. 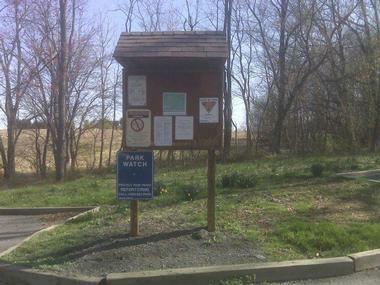 The area has many parks, orchards, and other outdoors experiences such as Butler’s Orchard, Bohrer Park, and Great Seneca Valley Stream Park. There are also arts centers, galleries, farms, markets, and museums worth exploring as well as a wealth of restaurants and shopping venues. 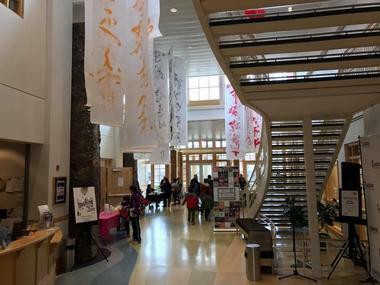 BlackRock Center for the Arts is a leading performing arts center and visual arts gallery space. The center provides high-quality performances, visual art exhibitions, and community art education. The venue hosts top talent from around the area, nation, and world. Performances run the gamut of genres and include pop, jazz, blues, rock, world, classical, and folk music as well as dance performances, theatrical shows, and even contemporary circus performances. Tickets for shows and the performance calendar can be found on their website as well as information about any ongoing gallery shows and community classes. In addition to self-touring the galleries during public open hours, groups can arrange for a guided tour of the center. Bohrer Park at Summit Hall is a community park that offers a range of activities for all ages. The paved, multi-use path is perfect for walking, in-line skating, biking, or jogging and makes a loop around the park. The park is also home to a miniature golf course, an activity center, a water park, and a skate park. In addition, there are several open fields and two ponds where fishing is allowed. There are playgrounds for children and a horseshoe pit and volleyball net for additional activities. There are multiple picnic pavilions and picnic areas that are perfect for hosting parties. 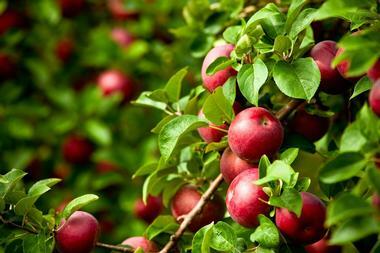 Butler’s Orchard is farm and market in Germantown that has been operated by the same family for three generations. 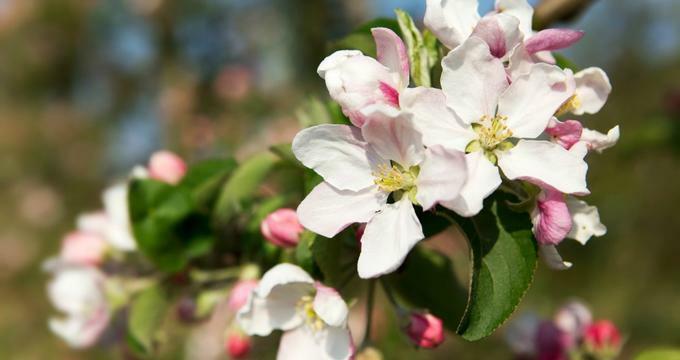 The farm grows more than 25 different varieties of produce, flowers, and trees on 300 acres of land. They have been offering pick-your-own produce opportunities to the public since the 1950s. They also offer a host of family-friendly activities throughout the year, including hayrides, bonfires, tours, and pumpkin harvest days. The market sells a variety of produce items that are grown on the farm as well as preserves, local honey, seasonal decor, apple cider, and more. Their largest attraction is the seasonal Pumpkinland, which is a display of interesting creatures all built out of pumpkins. The Arts Barn is an arts center housed in a beautifully renovated old stable. The Arts Barn is a part of the larger Arts on the Green, which is a collection of visual and performing arts venues. The center has a 99-seat theater where various performing arts programs are conducted throughout the year. They also have gallery space for rotating visual art exhibits as well as art studios where visitors can see resident artists in action. They offer a selection of educational programs, camps, and classes for community members. The center’s City Art Shop offers a selection of art-inspired gifts, jewelry, and apparel for purchase. 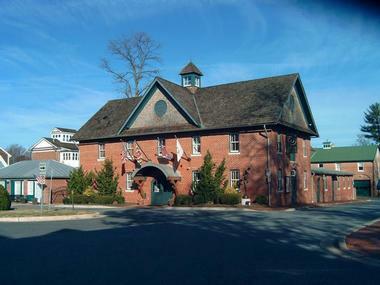 The Gaithersburg Community Museum is a museum dedicated to transportation and the history of the area, specifically the railroad. 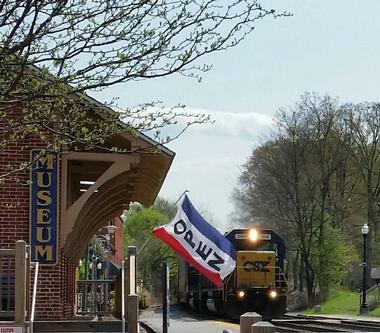 The museum is housed inside a restored B&O Railroad Station that dates to 1884 and was once a vibrant and bustling rail complex. The museum consists of a variety of educational programs and interactive exhibits. In addition to the educational exhibits in the Freight House, the complex also has a history park and a rolling stock exhibit. The rolling stock, or train collection, is held in the yard outside and includes a 1950s Budd car, a C&O Railroad caboose, and a 1918 steam locomotive. The Great Seneca Stream Valley Park is a beautiful natural park and getaway. The park has the Greenway Trail running through it with many natural sights. The trail follows a beautiful stream and connects to other trails in the greenbelt system. The trail is popular among hikers, mountain bikers, and runners. Wildlife sightings are possible, including many species of birds. The park hosts a variety of events and activities and has amenities such as paddleboat and canoe rentals. They have a family-friendly playground as well as pavilions and picnic tables for family events. 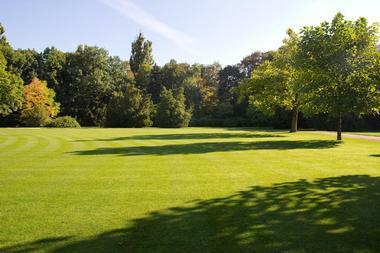 It is a fabulously quiet, natural environment for relaxing and escaping the hustle and bustle of the city. Growler’s Brew Pub is the first brewpub ever opened in Montgomery County. It is somewhat of an icon among craft beer aficionados and the award-winning beer selection includes a wide variety of brews that can be sampled on one of their beer flights. Or, order your favorite beer to accompany a lunch, dinner, or brunch. In addition to top-notch craft beer, the pub serves a range of food on the outdoor deck bar, in the dining room, or in the upstairs “Saloon.” Food options include tasty appetizers, burgers, salads, sides, and a popular weekend brunch. The Saloon often hosts live bands and is open late, making Growler’s a solid option for night-time entertainment. 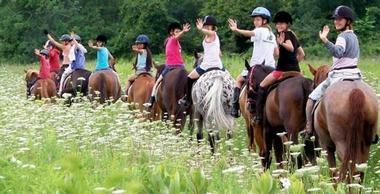 Hunt View Riding Academy is a professional horse riding school and boarding stable facility. The facility has several certifications, including some from the Maryland Horse Industry and the Maryland Department of Agriculture. The academy owns acres of land for students to practice riding in a variety of environments. Class options include both private and group lessons and are offered in several styles, including English and Western style as well as trail riding. Students can start at the age of 6 and there is something for every experience level. The class schedule is flexible and can generally be scheduled around each student’s needs. 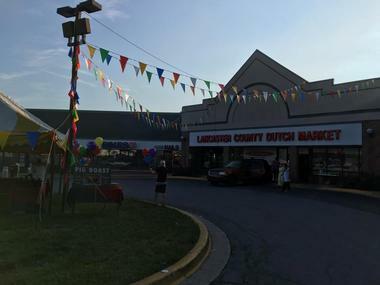 Lancaster County Dutch Market is a farmer’s market that has been in business for more than 20 years. The market has a large variety of vendors and offers fresh, locally grown produce, home-made baked goods, cheeses, candy, and cut flowers as well as Amish soft pretzels and other Amish goods for purchase. The market is very family friendly and operates each weekend. Dining opportunities include a small, full-service restaurant as well as a barbecue pit that serves chicken and occasionally rotisserie rabbit. Visitors can also purchase ready-made local furniture or design their own custom furniture at Lapp’s Furniture. The market frequently hosts special events and holiday celebrations. Old Town Pour House is an upscale pub based in Chicago that has an outpost in Gaithersburg. 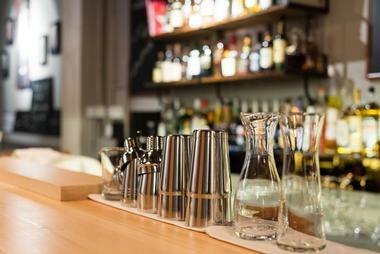 The restaurant has one of the area’s most comprehensive beer lists with more than 90 craft beers on tap. They serve up a selection of modern American dishes and feature several TVs in the dining room for watching sports. The food menu includes bar bites and sharable appetizers such as fried pickles, pretzel bites, crab fondue, and duck confit nachos. Main dishes include a selection of sandwiches and burgers, pasta, ribs, and fish and chips. A slice of peanut putter Snickers pie or a big scoop of butterscotch bread pudding makes the perfect finale to a meal at the Old Town Pour House. 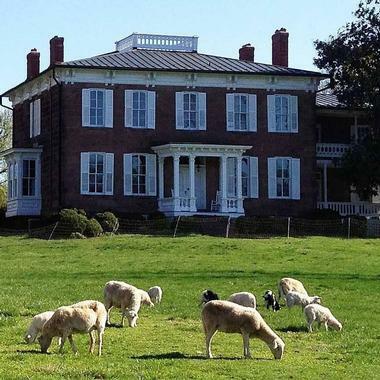 Rocklands Farm is a scenic 34-acre farm on a historical property in Montgomery County. The farm offers self-guided tours of their vineyard and winery, where guests can have the opportunity to see animals grazing and interesting historic buildings. The farm has an on-site tasting room where visitors can sample many of their products. They offer eight wines on a rotating schedule depending on the season and availability. The farm’s market has pasture-raised meats and other local items for sale. Every Saturday and Sunday the farm hosts a local food vendor. There are also free live music performances in the tasting room each month on the first Friday. The tasting room often hosts other special events including trivia nights and special tastings. Schaeffer Farms Mountain Bike Trail is a 15-mile scenic bike trail offering a somewhat challenging riding experience. The trail is a bit bumpy in spots with hills and roots jutting up, however, it isn’t only for experienced riders. There are several different trails to ride, depending on your fitness level. 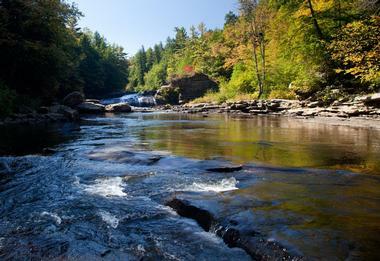 The scenery is beautiful and includes streams and fields that are perfect for picnics. There is plenty of parking near the trail and the trails are well marked with signs. While Schaeffer Farms Mountain Bike Trail is a perfectly fine workout on its own, it is also a great starting point for the Seneca Bluffs and Seneca Ridge trails. The trail system offers anything from a somewhat relaxed 30-minute ride to a 2-hour strenuous workout. 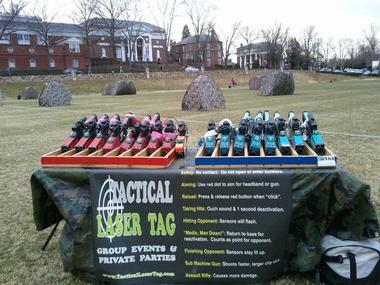 Tactical Laser Tag is the ultimate laser tag company in the area. They offer a mobile laser tag service that brings the party to you and can provide outdoor or indoor laser tag experiences. Customers choose the location and the company will come and set up the battlefield for them. They bring all of the equipment, which includes up to 16 laser tag blasters, pop-up bunkers, and the services of a professional laser tag Game Master. The parties are perfect for birthday parties, youth groups, and other group events. The traveling company covers several states in the surrounding area. 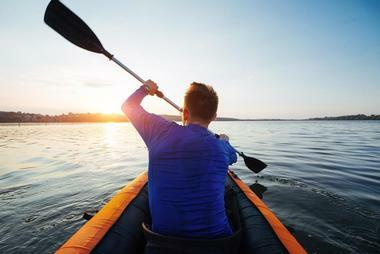 Valley Mill Kayak School offers kayak lessons for beginners and experts. They offer a unique curriculum that includes the most modern teaching techniques to help students be successful. The classes include both pool sessions as well as river trips on the Potomac River. Beginners get a chance to hone their skills on easier class 1-3 rapids, whereas experts can really show off as the river offers every class of whitewater. In addition to kayak lessons, Valley Mill offers stand-up paddleboarding, kayak fishing, and more. They even offer a kids-friendly program that is perfect for your future Olympian. 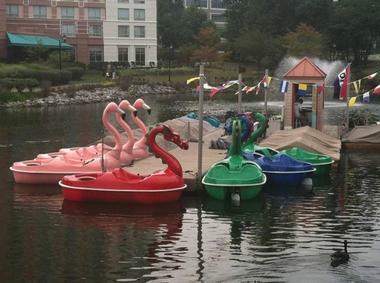 Washingtonian Paddle Boats is a boat rental company located in the RIO Washingtonian Center. The family-friendly attraction is perfect for a day out with the kids as children 1-year old and up are permitted aboard. Boats come in a traditional blue design as well as several exciting and fun designs such as ducks, swans, and dragons. The traditional boats have room for 4 passengers, whereas the fancier boats can accommodate up to 4 adults and 1 small child at the same time. Boat rentals are available seasonally and weather permitting. The company is committed to safety and provides life-jackets for a safe experience on the water.